Ambergris Caye is the most popular vacation destination in Belize and one of its most beautiful islands. It is also home to many of the most exciting festivals in the country (for a countrywide list click here). San Pedro Town, on Ambergris Caye, has a reputation as the party capital of Belize. There’s never a better time to partake in the fun than visiting during one of the many festivals over the course of the year. This unique competition is for anyone who loves sea kayaking. It goes for two days and spans 42 miles. 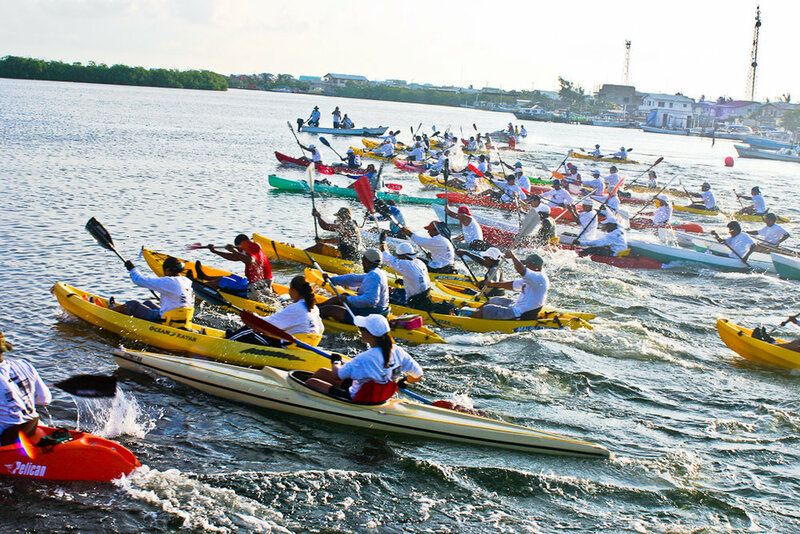 It begins in the main lagoon of Ambergris Caye, passes through many lagoons of Northern Ambergris Caye, moves all the way up to Bacalar Chico on the Mexican border and ends with a great celebration in downtown San Pedro. 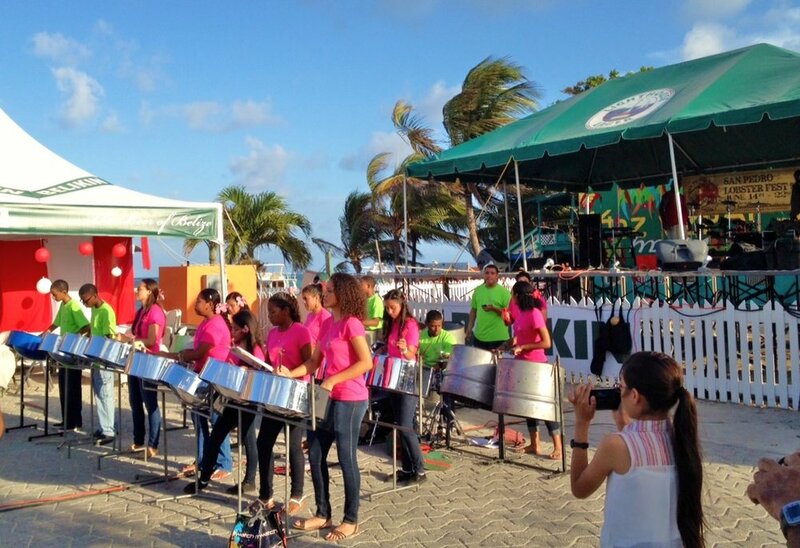 San Pedro Belize holds a huge festival every year to celebrate the beginning of lobster season. Lasting an entire week, many fun events are held, culminating with a restaurants chefs competing for the best lobster dishes. The community celebrates the island’s patron saint, Peter, with a fair that includes cultural dances, plenty of lavish parties, and fishing tournaments. This is the most popular festival in all of Belize. Costa Maya attracts visitors from around the country and the world. The highlight attraction may very well be the beauty pageant. This pageant features local competitors and others from around Central America. The festival also includes a wide variety of food events, celebrities from around the world and features lots of live music. The largest fly-fishing competition in Belize takes place every summer in Ambergris Caye. 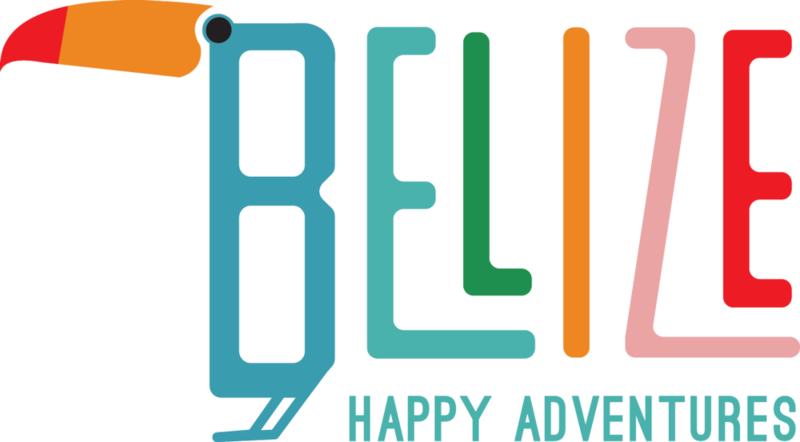 It is Belize’s only catch and release fly-fishing tournament. Typically, over 20 teams of anglers and guides compete for cash prizes, fishing equipment and bragging rights. A fun time is had by all and great causes are supported, such as the Bonefish Tarpon Trust, Oceana, Green Reef, and the Ocean Academy.